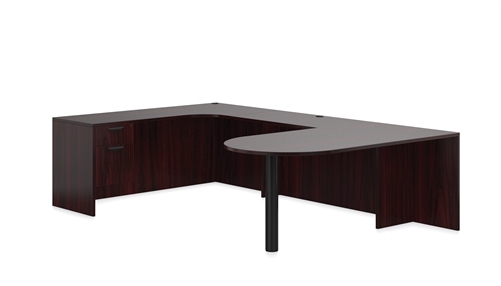 This U shaped desk with a mahogany finish is perfect for private office collaborating. The SL-E offers plenty of operational space, a suspend pedestal, and awesome D-Island style desk that's great for hosting small group strategizing sessions. Your Price: $3,607.00 *Quantity Discounts Available! Your Price: $799.00 + Free Shipping! Your Price: $4,331.00 *Quantity Discounts Available! Your Price: $3,101.00 *Quantity Discounts Available!